Announcing New Post-Adoptive Parenting Support Group! Parenting is notoriously deemed both one of the toughest and the most important jobs. 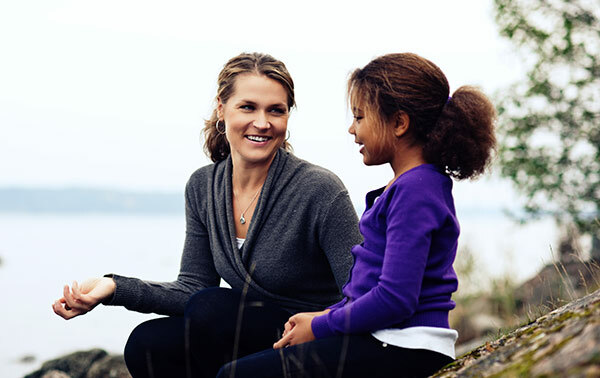 For families created through adoption, a range of unique challenges frequently arise throughout a child’s identity development. Whether you find yourself puzzled with how to answer your child’s questions about adoption or understand how your child’s behaviors may connect to their adoption, it can feel overwhelming and isolating without a community that truly understands. Parents Place is excited to launch a new monthly support group for post-adoptive parents to meet, connect, and collaborate together. You can widen your network of social support and make new friends. You can gain empathy, validation, and vent your frustrations with people who will get it. You can gain ideas, tools, and solutions to problems from others who have been there (or are right there with you). You can build a community of adoptive families and consider scheduling play dates for your children to also benefit from new connections. You can share resources, exchange advocacy ideas, or pass along strategies that you have tried. If you are an adoptive parent in the San Francisco Bay Area, we invite you to mark your calendars, kick off the New Year, and join us on Thursday, January 25, 2018 to contribute your experiences, questions, and perspectives! This group will be professionally facilitated and recur (typically) every second Thursday of the month from 6:30 – 8:00 pm at Parents Place in San Francisco. Ellie Pelc, PsyD, is a clinical psychologist at Parents Place in San Francisco.